Confession: I used to work in a zoo (in high school). I would say I was their best employee, but the rest of the employees might disagree. Details aren’t important. The important part is that I worked at the zoo and spent early mornings opening the gift shop and listening to the animals wake up for breakfast. What were my favorite animals? It were the Francois langur monkeys, who carried on each morning as if their sole job was to wake the rest of the animals from their slumber to announce a new day had started. This experience left me with a fondness of primates. So when a friend told me that there is a “monkey mountain” in France only two hours away from my house, I had to see it for myself. 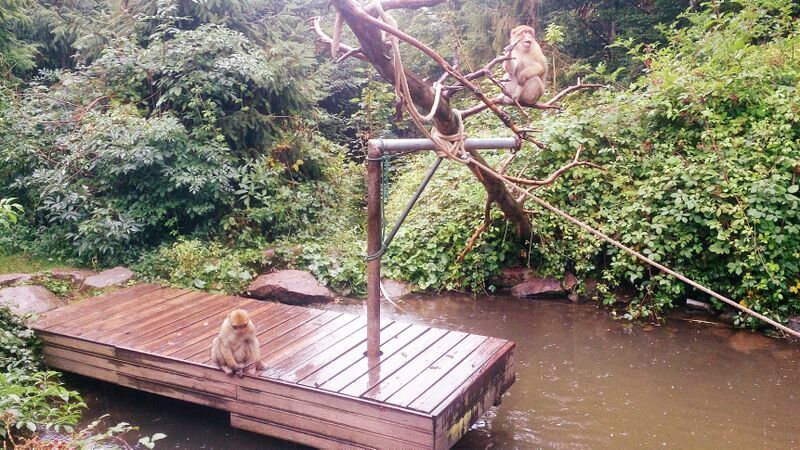 One cannot hear of a monkey mountain and NOT visit. (You’re planning your trip as you read aren’t you?) 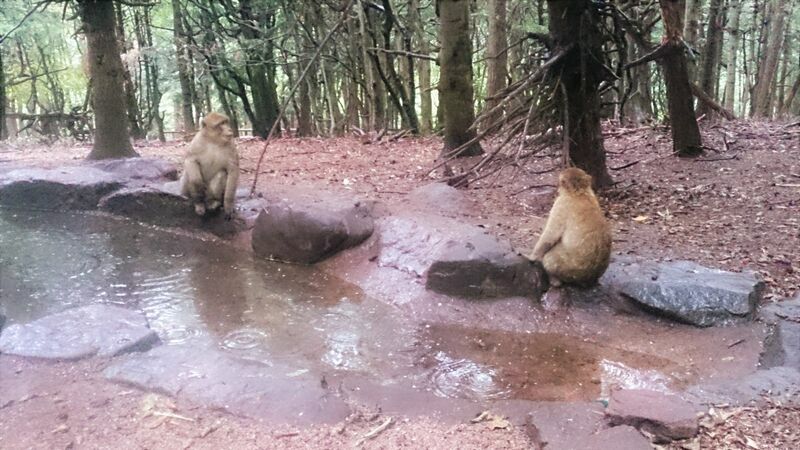 It is not a mountain made of monkeys (as the name might suggest), but rather a mountain dedicated to the care and habitation of the Barbary macaque specie. 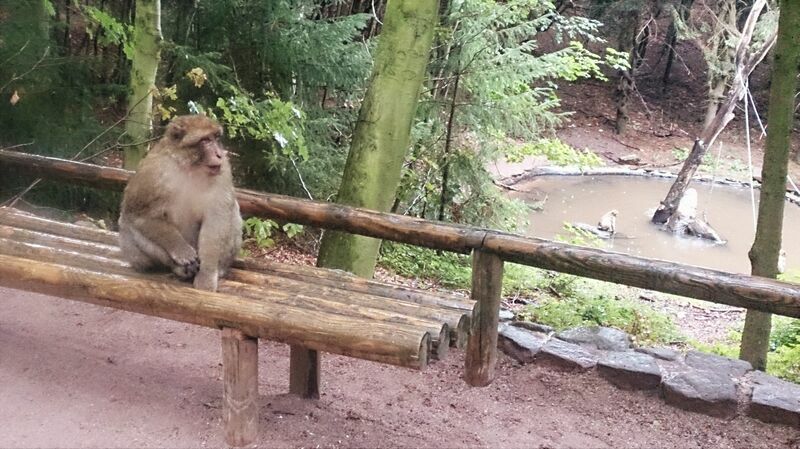 The park of Mountain of Monkeys (La Montagne des Singes) itself is easy to get to and has lots of free parking. Upon entering, there are a few playgrounds where children can pretend they are monkeys themselves. There is also a self serve café with snacks, ice cream, and wine for those of us who require a little liquid courage either before or after (or both) a monkey encounter. After purchasing tickets, we followed a path to the entrance gate where an employee explained the rules of the park (in English, German or French). They are generally what you expect: don’t harass the wildlife and offer only the supplied popcorn with your hand fully extended. Also visitors are told not to put the popcorn in their pockets, because the monkeys will go in after it. 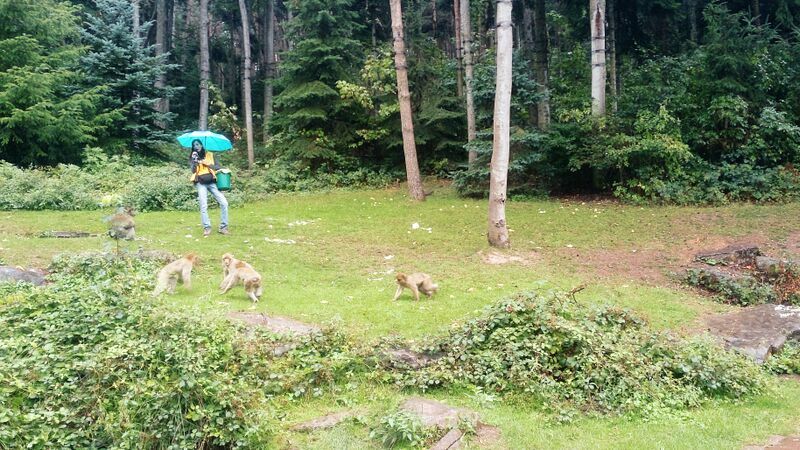 There was also some talk of the minimal risk of monkeys taking your personal belongings. The guide continued to talk, but by that point I was busy imagining myself swarmed by hungry monkeys tearing at my clothes and pulling my hair. For the record, that didn’t happen. Inside the park a kindly employee handed us a small handful of popcorn and mutters something about not feeding babies or holding food close to your body. I handed all of my popcorn to my husband. Better one of us be able to drive home (or to the hospital) I figured. But to my delight the visitors were like old hats to the monkeys. They sat perched on the timbers lining the pedestrian path and affably waited for a stranger with a (literal) handout. Everywhere we looked there were monkeys perched in trees, playing on the ground or “monkey-ing” around on signs and on water toys. Small children squealed with delight as they spotted monkeys behaving not unlike themselves and eating popcorn out of their hands. 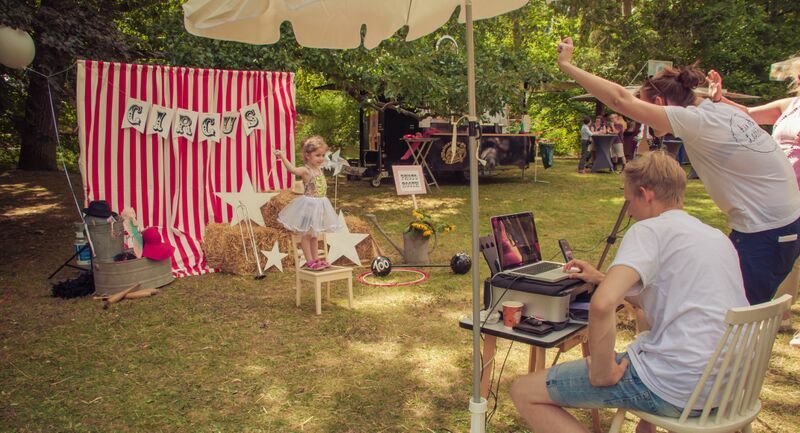 Hours and ticket prices for La Montagne des Singes are available on their website. The path in the park is about half a mile and the whole experience lasts about an hour. However, if you’re making the two hour trek, there are some other attractions in the area that can help justify the drive. • Eagle Mountain is located adjacent to monkey mountain and offers bird of prey shows. 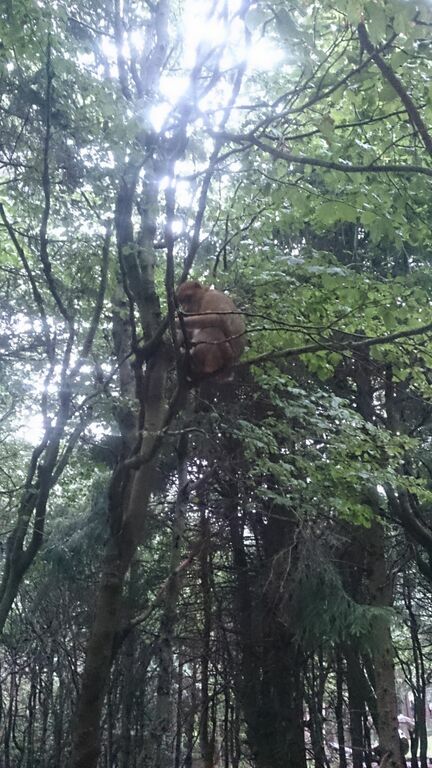 The park was closed due to inclement weather when we went (it seems monkeys don’t mind the rain but eagles and owls just aren’t having it). • Walk around Kintzheim Castle ruins (by the Eagle sanctuary) and tour the museum inside. • Spend time walking the timber-house lined streets of Kintzheim and do some antique shopping and wine drinking. 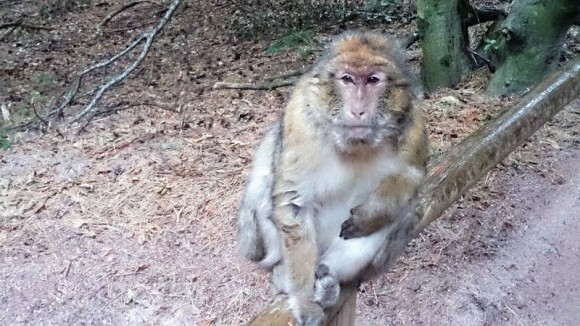 Monkey Mountain is located at La Montagne des Singes, Wick, 67600 Kintzheim, France. It is a 2.5 hour drive south of Kaiserslautern, a 2 hour and 15 minute drive southwest of Stuttgart and a 3 hour drive south of Wiesbaden.